There is a moment in the late afternoon–before it slips into evening–when the sun slants in from the northwest and illuminates my garden. All the plants glow, lit from behind and within. For a few minutes I dwell in a stained glass window of amethyst irises, golden flecks of bees returning to the hive, flickering and dappled green leaves. 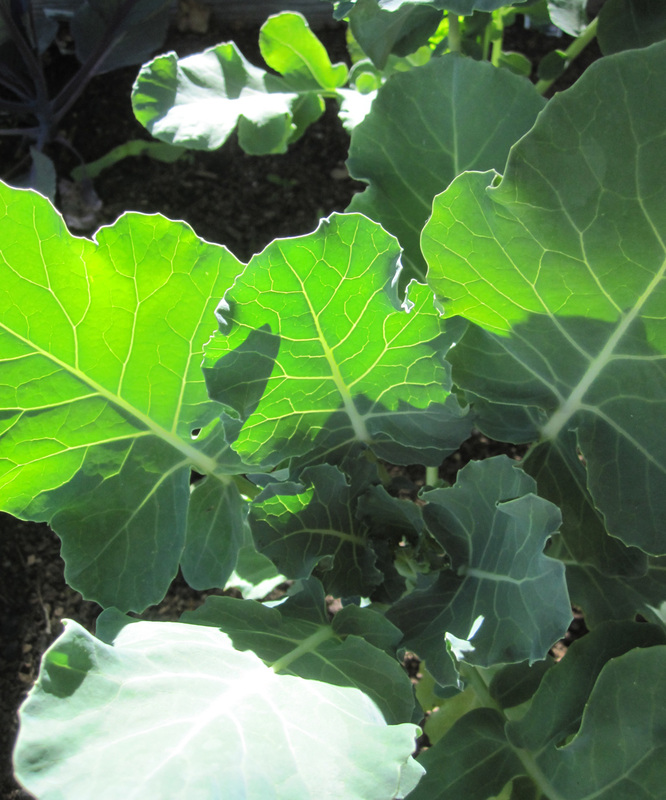 Sun ruffles the edge of lettuce leaves and brings a rich depth to humble broccoli. Twilight lingers long after I have eaten my salad of sunlight, melted snow and crumbled mountains. The sky is clear and bright in the north when I go to bed. The garden rests till the sun returns in a few hours. The solstice is still a couple weeks away, but these hours of light and growing are to be savored now. 🙂 Great spinning of words Deb! Spoken like a true artist. I can see the you garden on a summer’s eve because of your eloquent description. Thanks for your lovely words!